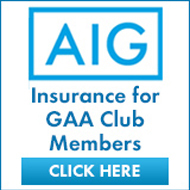 Like most GAA clubs St Peregrines seeks to develop its facilities for the benefit of its members. From humble beginnings where we had use of a Fingal council pitch where MacDonalds now stands, the club has constantly improved its facilities. The clubhouse was built and opened in 1998 by the then GAA President Joe McDonagh. Almost ten years later a sports hall and stand were built. This development included 4 new changing rooms, a treatment room, a small gym, meeting rooms and stores. In 2009 the all-weather training area was resurfaced into "astroturf" and fenced. A tractor shed was also built. In 2010 the land at the Mountview end of the main pitch was obtained from the Council and levelled, drained and resown. This was opened as a Juvenile pitch in the autumn of 2011.